I'm unfortunately really sick this week and outfit photos simply weren't an option yesterday, so I elected to do a little fall beauty post. While I consider myself fairly girly, I've never been super into hair and makeup. I wear makeup everyday (except the occasional and glorious stay-at-home weekend day), but I've always kept my makeup as low budget and routine as possible, especially in college. Lately though, I've been becoming so much more interested in beauty products and methods and have really been trying to step up my game! (Having full-time employment over a college part-time job may or may not have something to do with this). 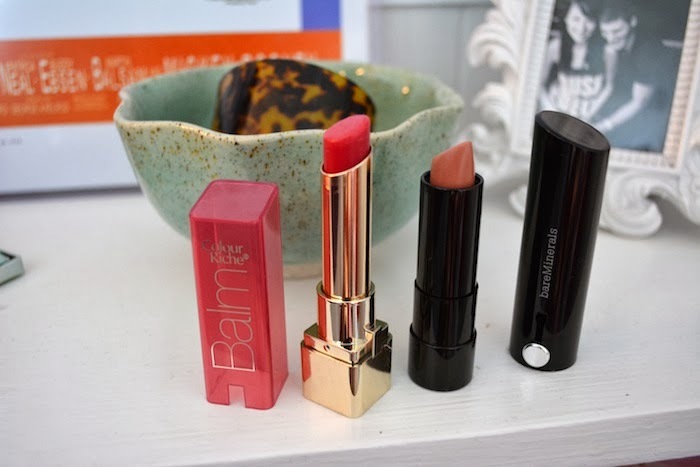 Anyways, these are some products I'm loving as we're getting into fall! I've got all of the specifics below + a few other beauty items that are on my wish list! I really want the Naked2 Palette, but I already have so many similar shades I can't bring myself to buy it sadly! I have the Naked Basics palette and I love it–I don't wear much shadow, so it's minimalistic and perfect for me! it's so funny but after getting a serious job after college I really stepped up my game in the beauty department and I too wear makeup everyday unless I'm home. Love this palette, next check out the Nars lip pencils, my new obsession. Feel better doll. 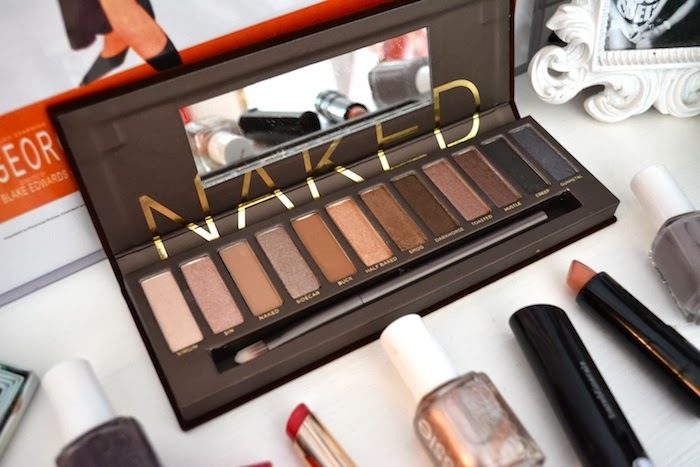 I have the Naked 2 palette and I LOVE it. 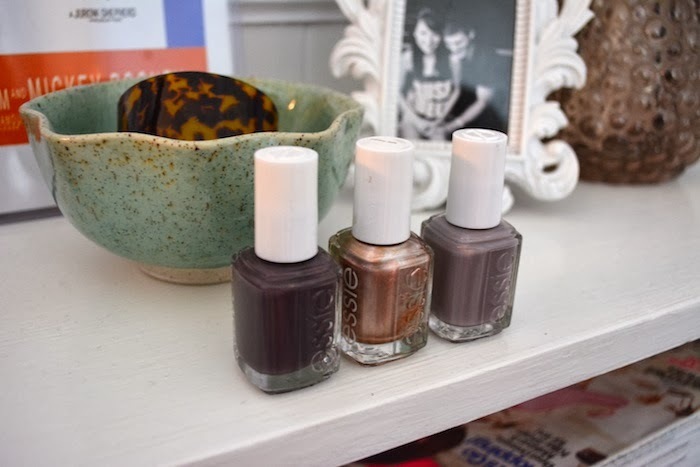 I'm addicted to Essie! 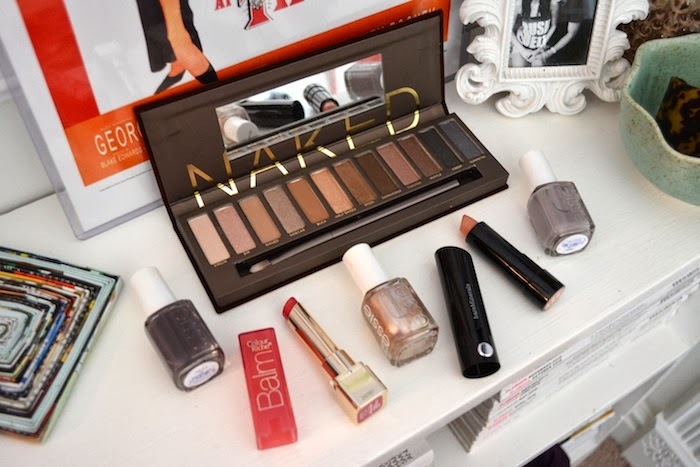 I've also seen that Urban Decay set before and been considering it.